Ocean Pulse Surfboards was founded in 1989, after three years of "just for fun" backyard board-building met with unplanned success. 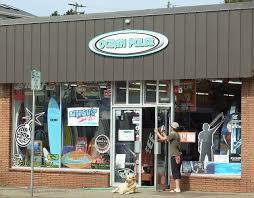 The retail store in downtown Newport opened in April 1991, just as Newport Surf Designs closed its doors. Owners Tom McNamara and Greg Niles bring over 70 years of surfing experience to work each day. Their 20-year age difference provides a broad perspective on the industry, which is shown in the depth of products and services they offer to surfers, skaters and snowboarders.